Having fallen in love with wine during a part-time role at a Kentucky winery, Vanessa Price DipWSET is now settled in New York as Area Manager for Maisons Marques & Domaines/Champagne Louis Roederer and a WSET Educator at International Wine Center (IWC). She explains what spurred her open approach to the world of wines and how she hopes to make wine more inclusive through education. Originally from Kentucky, how did your experience working at a winery using local grapes from the Ohio River Valley influence your interest in wines? I learned early on to appreciate that there is room at the table for all types of wines - my approach to wine isn’t as dogmatic as it might have been if I had been exposed solely to the classics first. When the opportunity came up to work at a winery in Kentucky, it was more out of necessity of work schedule mirroring with my university studies than anything else. Little did I know it would turn into so much more. Working at the winery, I started to learn about not only Vinifera vines but the hybrids many winemakers on the east coast of the US still cultivate. The history behind the wines and the immense spectrum of styles and flavours these grapes could produce fascinated me. It was also a magical place in terms of the cast of characters that haunted the wine bar which was open to the public on the weekends. From the small staff to the regular guests, we were our own unique little family which only helped to deepen my love affair with the community wine can build. It wasn’t until I moved to NYC and got into the wine trade that I understood how unique wines coming from the Ohio River Valley AVA and others like it were. This is a perspective I cherish having in the industry. Having started your career in wine in hospitality, what led you to move into education? The most fascinating thing for me to learn was that in Europe, the education of wine is so much more standardised than in the US. I started working at a wine bar in Manhattan with no formal education. It wasn’t long before I realised I needed to step my game up if I was going to turn this path into something more. I never would have imagined it would take me as far as it has - but am so grateful for it. It has helped me to walk through so many doors that might not have otherwise been open. From writing to teaching to day jobs to people just in general believing what I have to say has validity, it is hard to overstate the importance of formalising your education in our industry. 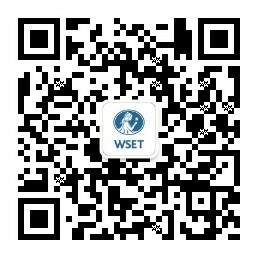 I am grateful to WSET and the opportunities their education platform helped me to capture. What do you enjoy most about teaching people about wine? I love working to make wine inclusive. Wine should be more democratic. WSET brings tools that help to inform people about wine without making them feel that they have to be a part of the industry to begin to understand and enjoy wine on their own terms. Certainly if students wish to continue through to Diploma and beyond there is a deeper level of commitment required as in any field - but the path to getting started is open and welcoming of everyone which I love. The more diverse you allow your experiences in wine to be, the more successful you will become. As New York Area Manager for Maisons Marques & Domaines/Champagne Louis Roederer, how do you find your WSET education helps with your day-to-day role? Well, for example, it’s amazing how often I encounter consumers who complain about how expensive Champagne is when in reality it’s one of the greatest values. It’s one of the most misunderstood categories in the market. If you consider how extraordinarily time consuming the production is and that it offers one of the most seamless balances between technicality and artistry in the world of wine, Champagne is without a doubt the best bang for your buck we can buy. WSET has helped me to acquire the educational skills that empower me to help consumers understand this important market fact from both an academic and human perspective. What advice would you give to anyone wishing to start a career in the wine trade? Formalise your education! Some of my greatest partnerships in the industry today are friendships forged going through Diploma. And the strength of being able to identify as DipWSET holds weight that is significant. In addition to that, try to experience as many different facets of the wine industry as you can. Loving wine is a great place to start but it isn’t enough. The people who make the wine, import the wine, distribute the wine, sell the wine, serve the wine, write about the wine and promote the wine - they all have lenses on the world of wine that are individually unique and fascinating. The more diverse you allow your experiences in wine to be, the more successful you will become. Learn more about Vanessa Price DipWSET on the IWC website or connect with her on LinkedIn here.